Over 21,000 off-road enthusiasts voted with their feet, ensuring that the UK’s only dedicated dirt biking show retains its title as Europe’s largest as well. 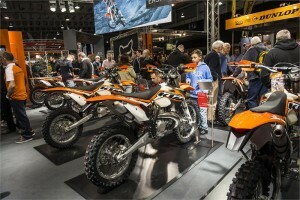 From the moment the doors opened at 9.30am on Thursday, it was clear that the 2013 edition of the Show was on the right track. Thousands of families and friends took advantage of the budget-friendly half-price admission and, once in the halls, enjoyed everything the revitalised Show had to offer. The major players in the industry made a superb effort with their displays in the main exhibition hall to create a vibrant, yet fun atmosphere, where show-goers were able to sit on and try-for-size the latest machines and inspect the latest kit, parts, accessories and gadgets. The interactive stage, compered by TV commentator Jack Burnicle was again a hub of activity, with almost non-stop games, championship presentations and rider/team interviews. Retailers in hall one reported excellent business, evident by the number of happy visitors leaving the exhibition, weighted down by their treasured purchases. The ‘marquee’ hall was busy too, with the major trial and enduro importers putting on an expansive display of top-notch machinery. The stage area here, hosted by former British Supersport champion Steve Plater, often provided a refuge away from the hubbub with a refreshment station, plenty of seating and interesting seminars. The most notable new area of the Show was in the form of the live action and activity arenas where the whole family could enjoy free-of-charge, action-charged trials, mountain bike, superbike and motocross stunt shows, as well as flattrack racing demos and the UK Superlites championship finale. Younger visitors were spoilt for choice with the chance to try out Oset, Kuberg and Mecatecno electric trials bikes, My First Honda Licence, kids’ quads or try their skills with a radio-controlled bike. Older visitors were also offered the chance to master a set of obstacles on a trials bike, or find out what riding a road bike entails with the help of industry organisation Get On. In ‘other news’, the Show’s media partners all reported a substantial increase in subscription sales, while hits to the Show’s website and social media pages, together with new App downloads, went through the roof. 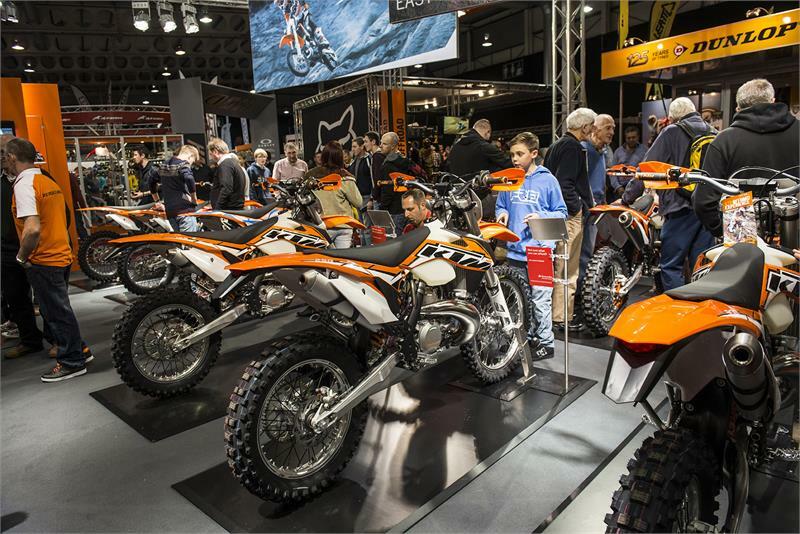 All in all, the International Dirt Bike Show proved to be a resounding success with positive feedback from exhibitors and visitors alike. All that remains now for the new-for-2013 organiser, Mortons Media Group, is how to up the game for next year, and those plans are already taking shape.